How do I get more referrals for my business? This was the question I received just a few hours ago via a Klout member seeking advice. Thinking about my current business and the fact that 75% of my new business comes from referrals I created an outline of what I have been doing. Start with GREAT customer service. This should be no surprise to any business owner seeking more referrals. Now more than ever great customer service is truly unique. And customers who receive great service can quickly become your best referral source and advocate. A good start to improving customer service is to think about the last great customer service experience you received and how you can adapt this experience into your business. The best referrals come from YOUR customers. Now that you are taking a fresh look on customer service and implementing better customer service strategies you should start noticing something different about your customers. The most obvious should be happy customers. 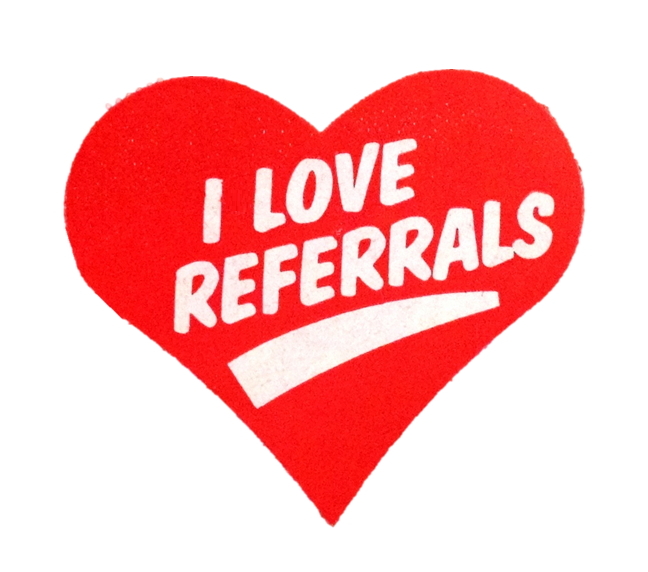 This may sound a big cliché but happy customers to equal more referrals. It’s really that simple. Ask your customers for the referral! Some customers will automatically become raving fans for you and your business. You don’t have to ask or offer them anything for this to happen as they want you to succeed. This will only occur with a few of your customers and when it does make sure you acknowledge and encourage it. With the other 90% or more of your customers you will have to ask for the referral. To get things started make sure you have a conversation with your customers about referrals and let them know most of julietta casino online your business comes from customers just like them referring you to their friends and family. Education is the key as this 90% group do not think about giving you referrals if you don’t tell them. Create your own referral network. There are many organizations which can greatly help you; Business Network International is an obvious one here. Joining this organization will put you leaps and bounds ahead of your competitors in regards to referrals. You can also build your own network of referral partners by finding business with the same customers you are looking for. Meet with these businesses and identify how you can send them referrals. Once you do this and start sending referrals let the business know. Do this a few times and you should start receiving referrals from them as well. Remember to say Thank You! I cannot express and encourage this enough. Saying thank you is the most important part of the referral process. With each referral you want to thank and acknowledge the source of the referral. As your referral source matures and gives you more referrals you want to escalate your appreciation. You can do this in many ways and I encourage you to get creative. Getting more referrals for your business should not be difficult or painful. Follow these steps and you should start seeing positive results in your referral marketing efforts. Do you have some great ideas on the subject of referrals? Make sure to leave a comment and tell us about it! And if you get positive results using these steps let us know! And How Follow Up Can Save Them! Depending on the type of business or service you may not even know if or when you lose a customer. Studies show less than 4% of your customers will tell you if they are unhappy so depending on your follow up process you may never know if you have a customer on the fence. 68% Stop buying your product or service because of an attitude or feeling of indifference towards them by one or more persons representing the company. A simple “thank you for your business” when the sale is complete. Send thank you cards to welcome new customers or sales. Create an email thanking your customer again for their business and let them know where they can go for additional service and support if needed. Determine the customer’s next need and remind them of your company or service by email, phone, or direct mail. The major point of these steps is to insure your customers feel appreciated. Customers who feel appreciated will typically not fall into the 68%. And if by chance your customer had a less than satisfactory experience in their last transaction these steps will help turn the tide back in your favor. To learn more about creating a follow up system make sure you to read Creating a Follow Up Strategy where I discuss follow up strategies for existing customers. Creating and using a follow up system is a guaranteed way to grow your business. In fact with less than 52% of all sales people following up with their prospects you will not only grow your business but you will stand out amongst your peers. And remember 80% of sales are made in the fifth to twelfth contact if you are in a market with heavy competition you literally eliminate your competitors by simply following up. Following up with your prospects is one of the most important steps in the sales process. If your prospect does not make a decision to buy or retain your services at your first meeting following up becomes the most important step. There are many ways to follow up with your prospects and one of my favorites is through gratitude and appreciation. Before dialing, emailing or writing a note take a moment to think about your prospect and your last meeting. Is there something you discussed in your last meeting that gave you an idea or helped you in some way? Did you learn something new about how your product or service can help a future prospect or customer? Did your prospect possibly give you a referral or a lead? These are all great examples of how you can follow up with gratitude. Think about the last time someone expressed gratitude or appreciation towards you. Was it in person, on the phone, via email, or maybe you received an unexpected thank you card? Think about how this small act of gratitude made you feel. This is the same feeling you create with your prospects when you appreciate them. This feeling creates a stronger relationship with your prospect. By building on your relationship you are attracting your prospect to convert themselves to the sale or another referral. Try out following up with gratitude after your next few presentations and let me know how it worked for you. If you currently do this in your follow up process leave a comment and tell me how it is working for you. Can SendOutCards really help you and your business generate more referrals? The answer is yes! The act of sending out thank you cards, birthday cards, follow up cards, and general thinking of you cards to your network on a consistent daily basis is guaranteed to generate you more referrals, customers, and business. As you can see from the video it’s all about creating stronger relationships with the people in your network. Sending out greeting cards is a bit old fashioned but very effective. In fact in today’s world of email, texting, and social media saying thank you or happy birthday with an actual card allows you or your business to stand out among the crowd. The more you stand you the more business you receive! If you truly want more business and referrals you need to consider implementing this relationship marketing tool. Visit our follow up tools section to learn more about SendOutCards for your business. 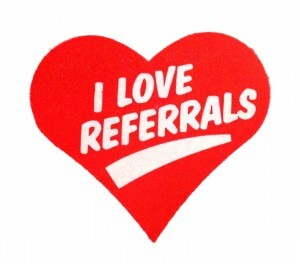 Are referrals the life blood of your business? Often times when I am consulting with businesses about referral marketing strategies they tell me that referrals are the top way they receive new customers. When I follow up with more questions about how they generate referrals I am shocked to discover many of these same businesses have no referral strategy in place. The referrals they receive happen by chance and they have no system to encourage or increase referrals coming into their business. Can you give me an example of your ideal client or customer? Please explain your biggest challenge in your business. Who is your best referral partner? What makes you or your company different from your competitors? Is there anything more you would like to tell me about you or your company that might help me give you a referral? At this point you should have everything you need to start referring this person or business. I find the fastest way to start receiving referrals from a new referral source is to give them referrals as soon as possible. I make it a point to seek out opportunities for them as I know the more business they receive from my network the more committed they will be to referring my business. If you start creating referral partners as strategy you are guaranteed to grow your referral business! Attracting New Customers and Increasing Your Referrals this Year! Christmas, Hanukkah, and the Seasonal Parties are starting to become fond memories for most of us. Many businesses are focused on the New Year and thinking about what to do different. New Year Resolutions have come up in almost every conversation I have had this week with businesses owners. Everything from growing the business, increasing referrals, getting more involved with the community, attending more networking events, creating more systems, increasing marketing, adding more staff, and list goes on and on. The greatest thing about all these conversations is how many businesses seem to really be thinking about what they can do different. How they can really improve and grow their business this year. For my businesses focus seems to be at the top of my list. Really identifying where I need to spend my time and making sure I hold myself accountable to where my time is spent is number one for me! I have really thought about what my highest income producing activities are for each of my businesses and where I want these businesses to go this year. By doing this exercise I have now identified actionable items and activities which I should do each day to achieve these goals. I am now in the process of listing these activities and creating daily, weekly, and monthly goals for each one. Once this is complete I will have this document in front of me each day. It will work like a check list insuring I am doing the action items and activities on a consistent basis which will lead to my desired results. My questions for you are what are you thinking about this week? What are you changing in your business to insure a great 2010? Are you willing to take the steps necessary for your success? Are you going to attend one more networking event each month this year? Are you going to join BNI, LeTip, or you local Chamber of Commerce? Are you going to learn more about Social Media and how to use Social Media in your business? Are you going to follow up with every lead you receive? Are you going to follow up with every person you meet? Are you going to thank the customers that buy from you each month? Are you going to create more meaningful relationships this year? Take a moment and share with us what you are going to do to insure your success in 2010 by joining the conversation and leaving a comment! Sending Holiday Cards to Your Customers is a Waste of Time! Did I get your attention? You only have a few days left to get this task done. Are you are one of the many business owners or sales professionals who still have this task on your list? You may even have a stack of holiday cards sitting on your desk ready to go. But at some point in the past month or most likely many times you decided to put it off, wait until tomorrow, or maybe take care of writing and sending your holiday greeting cards over one of the past weekends. And now you find yourself exactly where you don’t want to be, 15 days before the big holiday, no holiday greeting cards in the mail. You have a decision to make… Do you stop everything and send those holiday cards out or do you just forget about it? The answer? STOP EVERYTHING AND GET IT DONE NOW! This may seem a bit crazy or even bias because you know I am a big SendOutCards user and often promote using SendOutCards on Follow Up Success. Card sending is an important step in your follow up process and holiday card sending is almost at the top. Appreciating your customers and prospects – Every single one of your customers enjoys being appreciated and the holidays is a great time to say thank you for the past business you have received. Prospects can easily be turned into customers by simply saying thank you for learning more about you and your business while wishing for them a great holiday with family and friends. Reestablishing the business relationship – One of my goals for 2010 is to create stronger relationships with my customers and prospects. By sending holiday cards I will reestablish past relationships that I may have let slip through the cracks. This is important when you reach out to past customers or prospects in the New Year as you will have recent contact. Top of Mind Awareness – This is the big one! Creating top of mind awareness with your customers and prospects when they are surrounded by their closest friends and family is an essential step in your follow up and referral strategy. If you are top of mind with your customer or prospect they are more likely to bring you and your business up in conversation or think about you for a potential referral. Hopefully I have encouraged you to take action! Maybe, you have already picked up that box of holiday cards from your desk or floor and have starting filling them out. Possibly, you have too many cards to send and feel hopeless! If you are feeling hopeless SendOutCards would be the best gift to give yourself this holiday season! With my help within a few hours you can have all of your holiday cards in the mail each personalized with your message. To learn more about SendOutCards or to set up your account visit my Follow Up Tools page or contact me. I am more than happy to help you through this process! Whether you use SendOutCards, go buy cards from the store, or use the cards you already have, just get it done! Stop everything and do this now! I promise you it’s worth the time. Do you have great business success stories from sending cards? Please tell us all about it by leaving a comment! There should be no question in your mind that email is a powerful follow up tool for your business and should be included in your follow up strategy. Creating a list of customers, prospects, and referral sources who have asked you to market to them with email by requesting to be on your newsletter or specials list is brilliant! In fact why not take a moment to subscribe to my Follow Up Success Newsletter now! AWeber just made it really easy to create great looking newsletter opt in forms for your website or blog! Released just in the past few weeks you can now go to your AWeber account and create a new form using one of the many templates available. Choose from many great categories like automotive, corporate, retail, money, real estate, and more. Learn more about the AWeber options by visiting Shawn Collins Affiliate Marketing Blog. You will need to set up your AWeber account to use the form generator but I promise it will be worth it! Send Thanksgiving Cards to Follow Up With Your Clients! There are many reasons to send greeting cards to your customers. General follow up thank you cards, birthday cards, customer appreciation cards, and of course holiday cards. All of these customer follow up greeting cards should be a standard marketing practice for any business. One of my favorite opportunities to reach out to existing customers and create stronger relationships is Thanksgiving. Thanksgiving after all is all about gratitude and what better way to show gratitude to your customers than by sending them a Thanksgiving card and letting them know how much you appreciate their business? I truly believe in sending Thanksgiving cards to follow up with your customers and prospects. In fact I have recent memories of handwriting over 500 Thanksgiving cards to my clients not too long ago. This was a huge and exhausting task with each card containing two or three lines of personalized text. I spent well over two months completing this process! And while I was all gung-ho to send out holiday greeting cards to my clients as well… It was just not going to happen. I had all the holiday cards on my desk but could not get them completed in the two remaining weeks I had left. At the time I remember thinking there must be a better to get this done… Of course there is a better way and I discovered it about six months later. The next time I mailed Thanksgiving cards to my clients I sent 600 and did them all in about four hours instead of two months! I used an incredible system called SendOutCards and you can learn more about this process by visiting my Follow Up Tools page. There are many reasons to send out Thanksgiving cards to your clients, prospects, and referral sources. The main one being appreciation. Everyone likes to be acknowledged and appreciated and when you do this your clients will do more business with you, prospects will start doing business with you, and your referral sources will send you even more referrals. Now is the time! Start following up with your customers and prospects today with Thanksgiving cards!